The best sentimental birthday wishes don't just tug at your heartstrings. They also take you back to a simpler time, a special moment, a long-forgotten place all your own, like a song you haven't heard in years...and like the heartwarming birthday messages in this section. What you need to do, if you've chosen to go the sentimental route, is decide how sentimental you want to be with your sentimental birthday messages. This, of course, depends on the sentimentality of the birthday girl or boy, something you should carefully consider. In this section, you'll find four pages of sentimental birthday greetings to choose from, giving you the choice you need to pick the perfect one for your loved one. Even though sentimental birthday messages can be a wonderful way to tell your loved ones how much you love them, they're not sure-fire winners (or safe bets) for everybody. My experience has shown me that they can be a hit or a miss as a message. 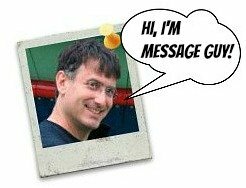 Unfortunately, you can't read the mind of the birthday guy or gal, so you'll never know with 100% certainty if your birthday message is a hit or miss. That's unless, of course, you can read faces and body language like a master poker player. Nonetheless, you can minimize the risk of sending overly sentimental birthday wishes right from the start...by knowing what you're up against. The first thing you need to know about them is that there's a plus and negative side to using them as birthday messages. On the plus side? With sentimental birthday wishes, you can be as flowery, sweet and mushy as you want to be when expressing your feelings for the birthday boy or girl, making him or her feel really, really special. Depending on the wish you choose, you can also take him or her right back to a special moment in their lives, which is, I think, the best kind of birthday gift to give somebody on their special day. On the negative side? These birthday greetings may not be to everyone’s taste. They can even make some people sick to their stomach (not literally, of course). But they can indeed make individuals, who do not normally wear their hearts on their sleeves, uncomfortable enough to make you uncomfortable about the birthday message you chose. Not a great feeling. So don't just assume the recipient of your birthday message is as sentimental as you are. 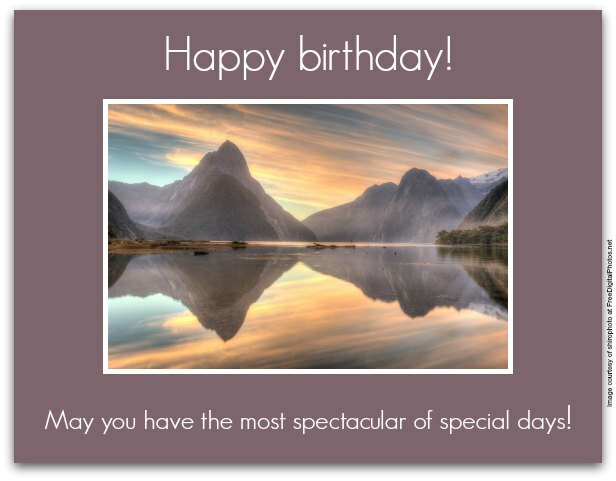 Before you race off to copy and paste one of the sentimental birthday wishes on this site, determine if your loved one shows any signs of sentimentality. Instead of giving you a long list right here, I have a link to a terrific piece with 40 signs of a hopelessly sentimental person. Interested? Click here to read the article! When you finish it, keep this little tip in mind: choose the sentimental route only if the recipient likes heartfelt messages, starting with the options below. If not, stick with a “happy” wish, even a funny one. Happy birthday! You're growing up so fast. I can remember a time when you only came up to my knees and could barely stand on your own. Now you stand so tall...head and shoulders above me. Happy birthday! You've always been so special to us, ever since you learned to run before you could walk. Happy birthday, my son. There was a time I could hold you in my arms. Now you tower over me and could hold me in your arms. Time and kids can indeed turn everything upside down. Happy birthday, our precious princess! From the moment you came into our lives, you stole our hearts. Now that you're a woman, you make our hearts proud! Happy birthday! On this special occasion, I pray you have a day to remember and an eternity to remember it. Happy birthday to my favorite teen. With your childhood behind you, it’s time to put your childish things away and never look back — only forward! Happy birthday! May your special day bring you enough joy, love and wonder to last you every day until your next birthday. You deserve every second. Happy birthday. Everything that matters in my life matters because of you. Hoping all your dreams come true and, when they do, I hope that they're positively dreamy ...just like you! May your birthday be full of smiling faces, endless giggles, happy thoughts, gifts of love and wishes that magically come true. May your special day bring you everything that's special about life — and may you have the joy, health and peace to savor every special moment of it...on your birthday and ever after. Wishing you a lifetime of love that melts your heart, adventures that feed your soul and beauty that's more than skin deep, starting with your birthday. Every moment is a beautiful memory in the making that can last a lifetime. May your lifetime be all about making beautiful memories, beginning with this birthday! May you live a captivating life that just gets more captivating every day...starting on your birthday, the day you first captivated the world around you! 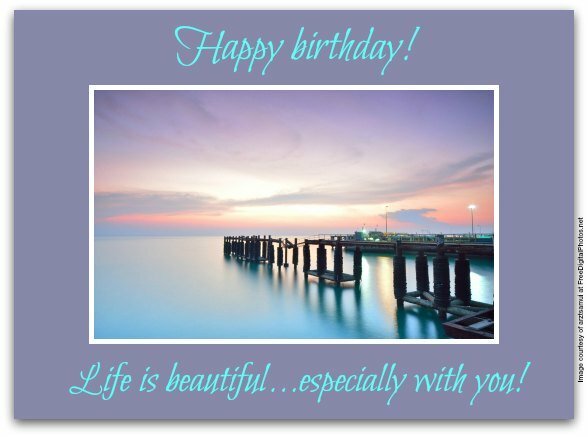 I'm very partial to "priceless" quotes, so when I wrote this birthday message, I immediately fell in love with it. Because this type of birthday verse is quite sentimental in style, it shows (rather than tells) how much you appreciate the recipient of your message. Not a bad sentiment for someone who's super important to you. Happy birthday to a real treasure. The older you get, the more priceless you get to family and friends who know a precious jewel when they see one. Happy birthday! The best years of your life are just around the corner. To get there sooner rather than later, do what you've done since you were a kid — bust out your sneaks and make a run for it. Everything I know that's good in my life I learned from watching you. You've always shown me right from wrong more times than I can ever count — through breakups, breakdowns, breakthroughs, even breakouts. May your special day break every birthday record. Happy birthday! We're all just tall kids but you stand taller than any kid at heart I know.